This mask is made from recycled materials. My goal was to use whatever craft supplies I had lying around the house, and not buy anything new except for the paper mask itself. When this challenge was announced, there were only two things I wanted to achieve: 1. My piece should not look like crap; and 2. I had to finish it. Given my special circumstances (I breastfeed, I'm a hands-on mom, and we have no nanny!) those two simple goals are pretty tough to achieve. 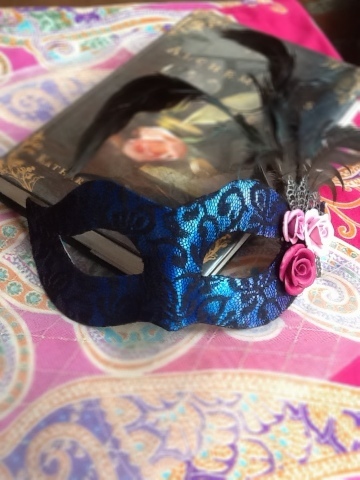 It took me a week to finish my mask, even if it's pretty easy to make! 1. 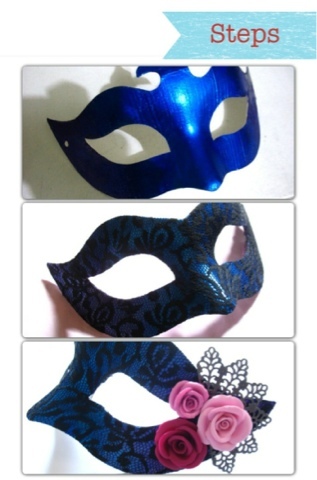 I painted the mask with blue metallic paint. For an ombre effect, I painted the ends violet, and blended towards the middle. Hard to see the ombre in the photos, my camera refused to pick up the violet tones. 2. I wrapped the mask with black lace fabric. When I was designing this project in my head, I knew I wanted it to look classy. I was planning to buy some lace. Imagine my delight when I asked to look at my mom's magic bag of fabric scraps and discovered this piece from her old blouse! Perfect! 3. I glued on the filigree and the flowers. The chicken feathers were a last minute addition - the mask looked bare without them. There you have it! 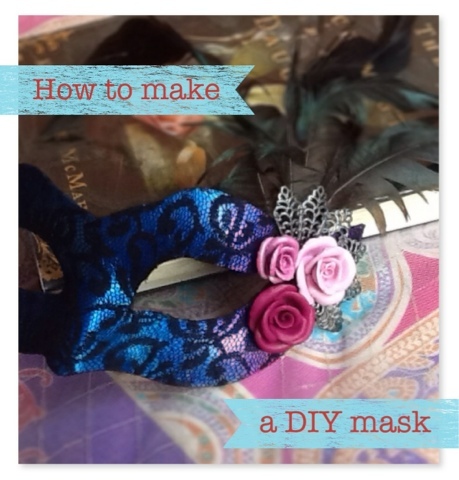 My simple DIY masquerade mask out of recycled materials. Perfect for Halloween, don't you think? Hello my crafty friends! I've missed you! I haven't created anything since the flowers I posted in May! I'm having too much fun being a mom. My little Ally is growing into such an adorable and funny little lady. I spend all my time with her, there really isn't time left for my beads and clay. 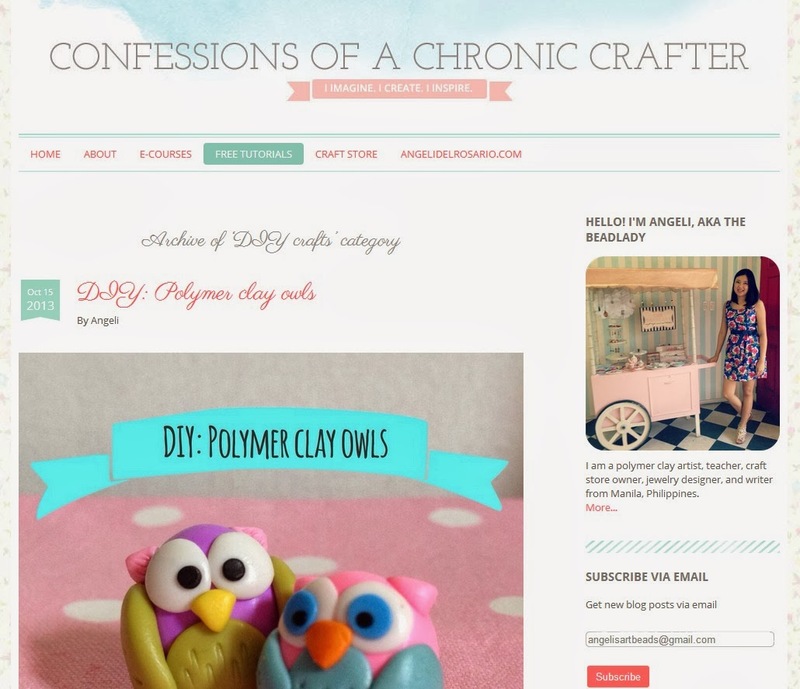 I'm stopping by real quick to share with you my entry to the Philippine Polymer Clay Guild's latest challenge. All members were required to make a mask using polymer clay and mixed media. 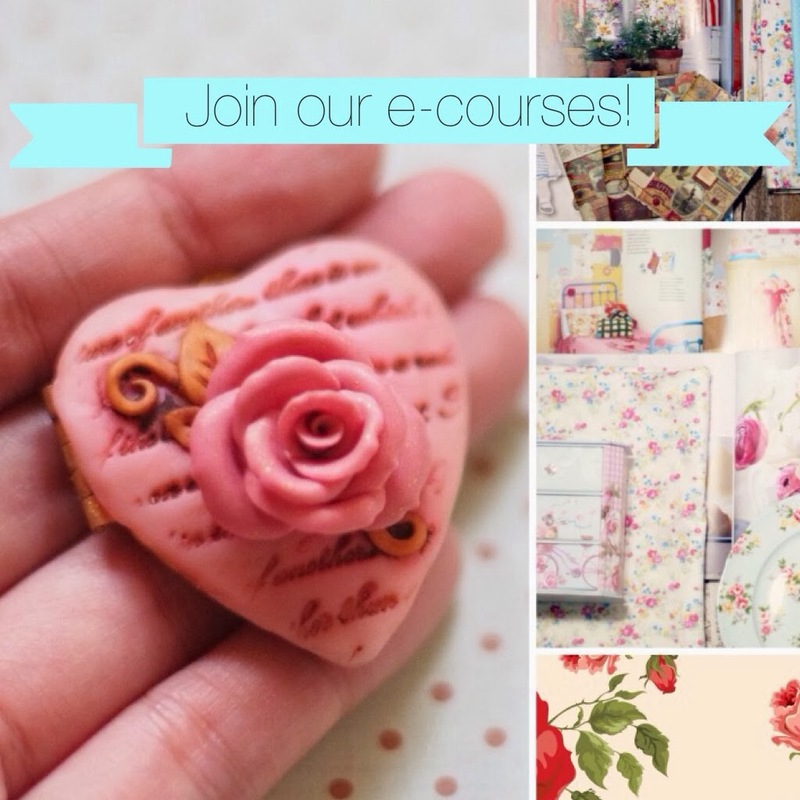 This challenge aimed to stretch our creative muscles and think beyond polymer clay. The challenge was mandatory, so I had to whip something up in the non-existent free time I had. Good thing we were allowed to use any material, so this was an easier project for me to do than an all-clay piece. Paper and fabric are relatively safe materials to handle while a very malikot toddler is playing a few feet away from you. I wouldn't be able to submit if I had to sculpt and bake. I made this using materials I already had in my studio. The black lacy fabric is actually from my mom's old blouse. The polymer clay pieces are from a project I made two years ago. I added the chicken feathers last-minute, a nod to the Masskara Festival in Bacolod that also happened this month. The feathers are old and shabby because they're from an old Venetian-looking mask I bought in Divisoria five or six years ago. I'll show you the how-to in my next post!